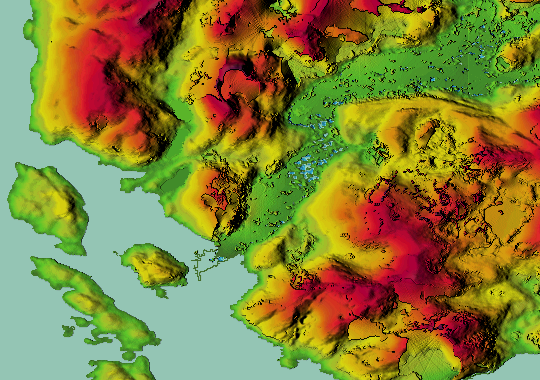 SRTM1 here contains lots of errors, from artificial narrow peaks to holes and areas clamped to the sea level, as well as some negative heights. 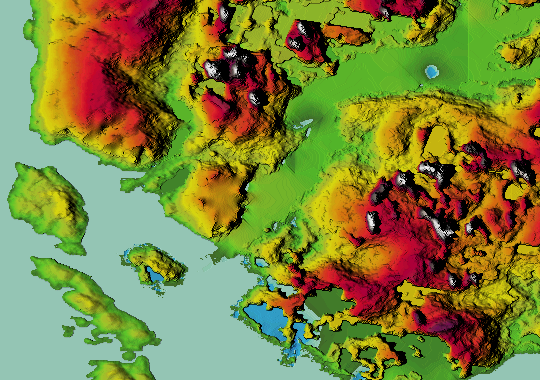 This area is full of SRTM voids, places where the radar could not get reliable info due to clouds or other factors, and these holes were filled from various other datasets. 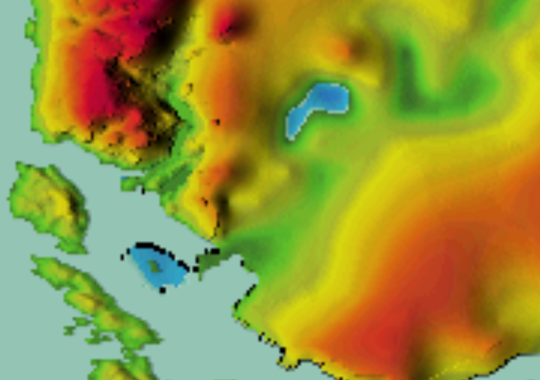 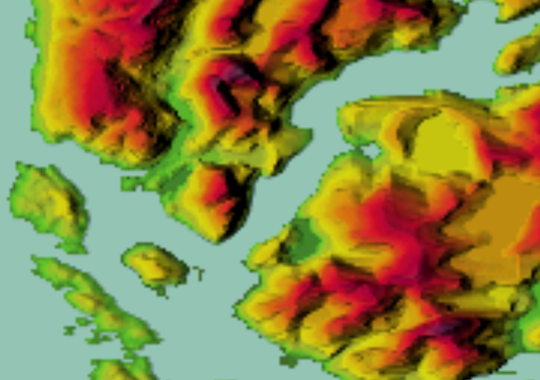 While it's considerably better than SRTM1 in this area, there are still severe artifacts that show up as very ugly sharp transitions in 3D, and it's basically unusable without extensive corrections. 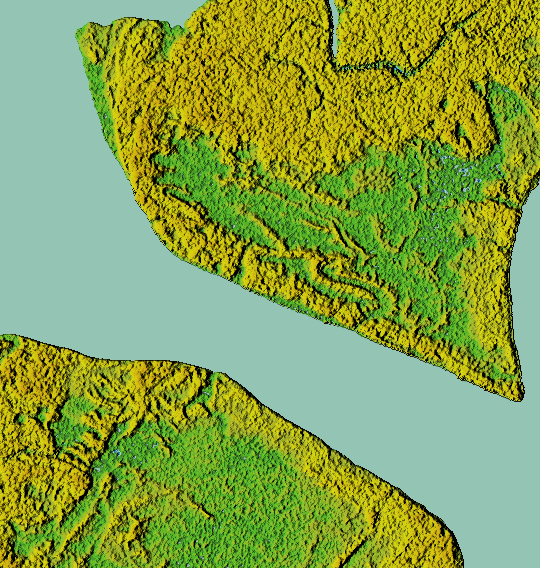 For these corrections it's possible to use another global dataset that is without (significant) artifacts, Viewfinder Panoramas with a global 3" coverage. 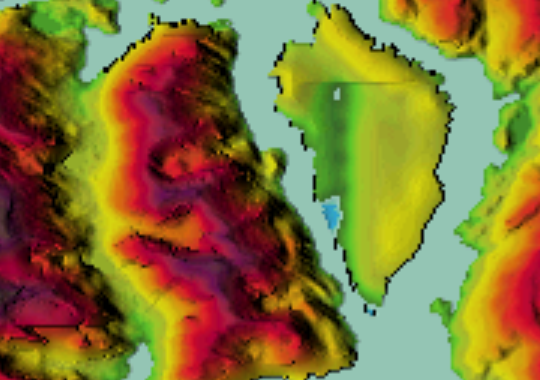 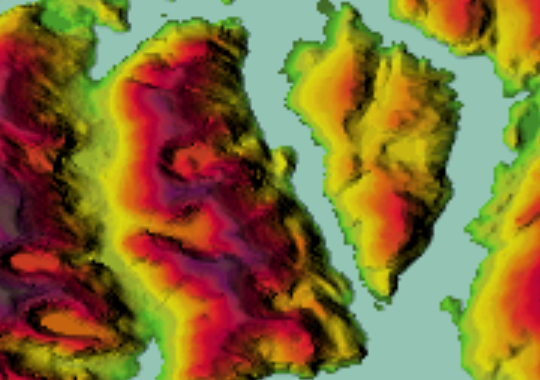 This one fills SRTM voids using various local maps. 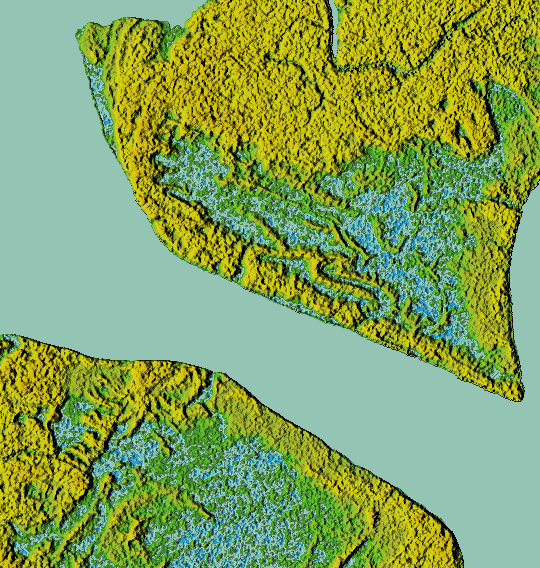 So far it seems that the new dataset won't solve our existing problems and will introduce some new ones, although this is all preliminary and unofficial.